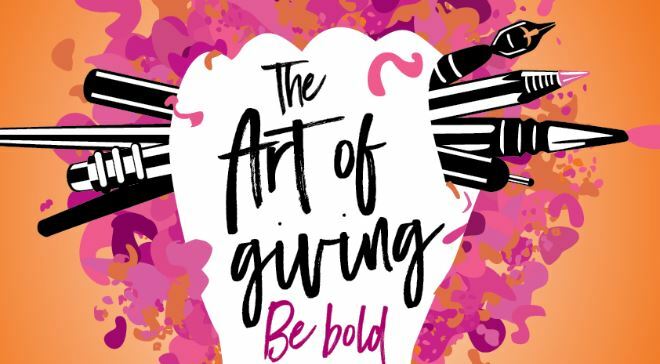 Introducing the Art of Giving! Home > News > Introducing the Art of Giving! The Art of Giving is a secret postcard art exhibition and auction in aid of Transplant Australia. The aim is to encourage those affected by transplantation to use creativity in recovery while promoting the amazing benefits of organ donation and transplantation to the wider community. 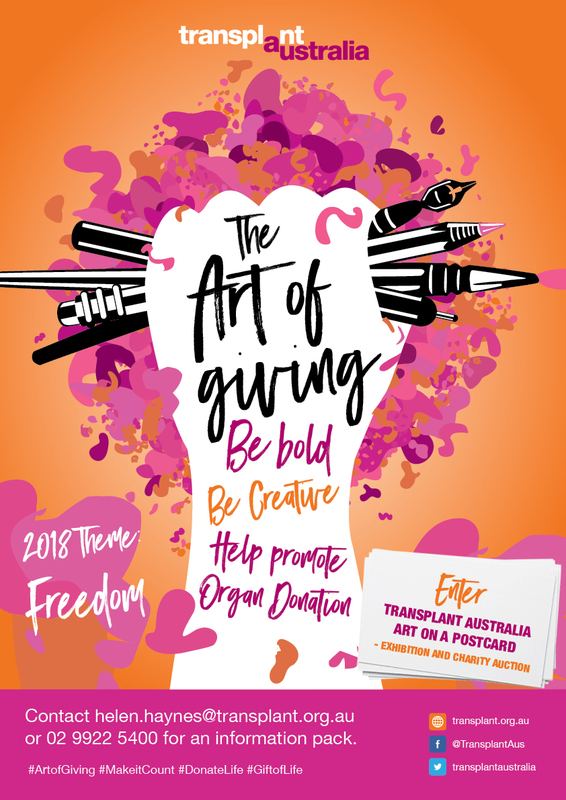 We are inviting children and adults affected by organ donation and transplantation, along with celebrity artists and supporters of Transplant Australia to take part in this exciting project. Everyone is encouraged to enter – you don’t have to be a professional or expert artist. Just be creative on a little postcard! Art will be exhibited in various states and at the Australian Transplant Games in October on the Gold Coast. Each piece will be displayed and then auctioned off in secret. No one will know the artists until the purchase is made. So don’t worry if you aren’t a professional artist, just get painting, drawing, stencilling, stamping and be as creative as you like. Funds raised will support the work of Transplant Australia and enable more children to attend the Australian Transplant Games. Our goal is to encourage 100 of our Transplant Australia members, friends, family and even celebrity or sporting stars to support this fun and creative project. If you know anyone who might be interested, please ask them to get in touch with us or to submit a piece of art. Create art on something the size of a postcard (ie no bigger than 15cm x 11cm) If you need art card, please contact us and we will be happy to post a few blank cards out to you. The art can be painted, drawn, pencilled, inked or moulded. Whatever inspires you. You are welcome to submit one or more pieces. We will endeavour to use them all. Submit the art along with a short story about yourself or what inspired you to get involved.